Windows of a house in the Alfama in Lisbon, Portugal. 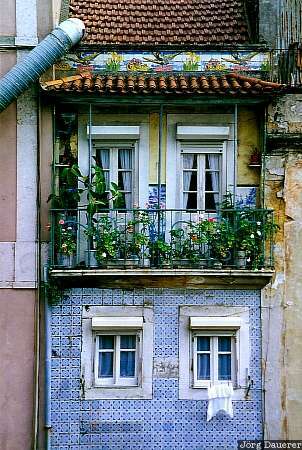 Between the lower windows Azulejos (tiles) typical for Lisbon can be seen. This photo was taken at the afternoon of a sunny day in May of 2000. This photo is part of the exhibition Windows (February 2007).